Yay, guys! FINALLY…Spring is here! But you still need a jacket. And the best jacket to have on hand is a good denim one! I have a few denim jackets in my wardrobe, but I am obsessed with this slightly oversized version! And it is only $34.99! I can’t get over how flexible and soft the material is! You cannot go wrong! I bought it in a medium, and I love the way it fits! 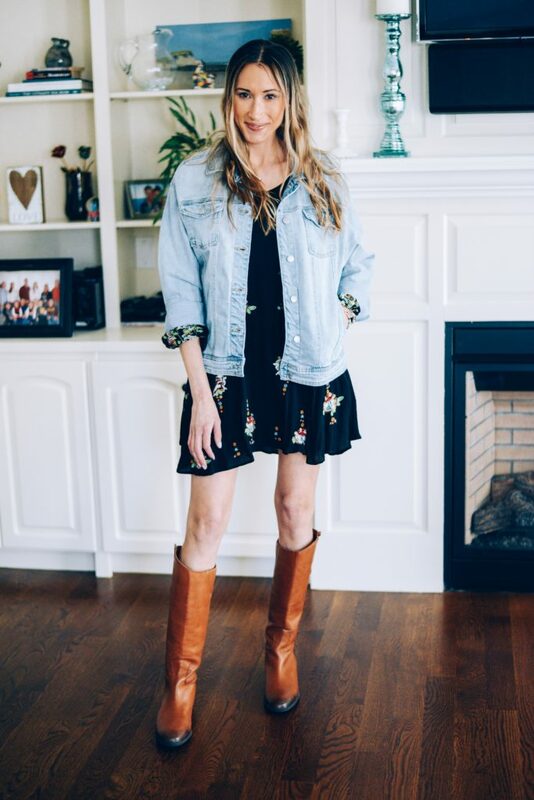 So in honor of this amazing wardrobe staple, I am sharing 6 outfits with a denim jacket that are perfect for spring! 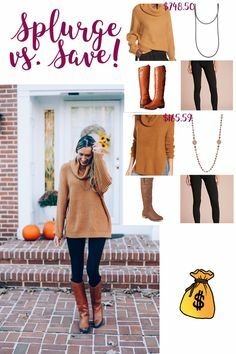 What a great way to wear your favorite boots beyond winter! You stylishly keep your legs warm during early spring days without looking like you live in an igloo. 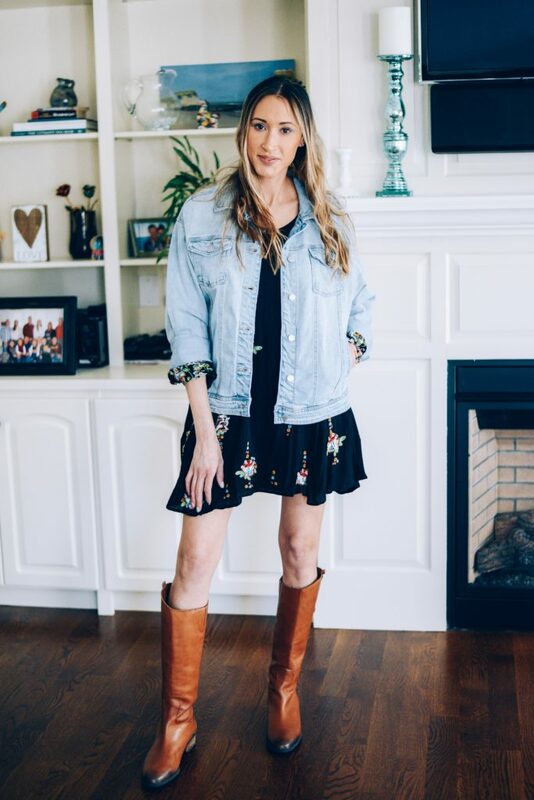 I think mini dresses and denim jackets are a match made in heaven! It is so fun to integrate a casual-wear item into a casual chic outfit! Total upgrade and more for your money! I paired a lace cami with my striped joggers and added espadrille wedges, and of course, my denim jacket! Add some mirrored sunnies and you’re good to go! 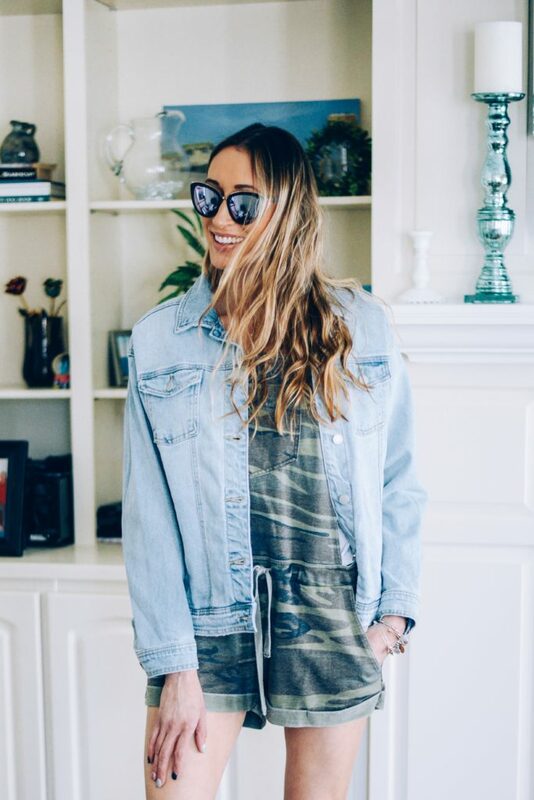 I am on the overalls train this year, and I love these camo shortalls! And what goes better with camo than denim! To top it off, I added sequin Converse for an all-American look! 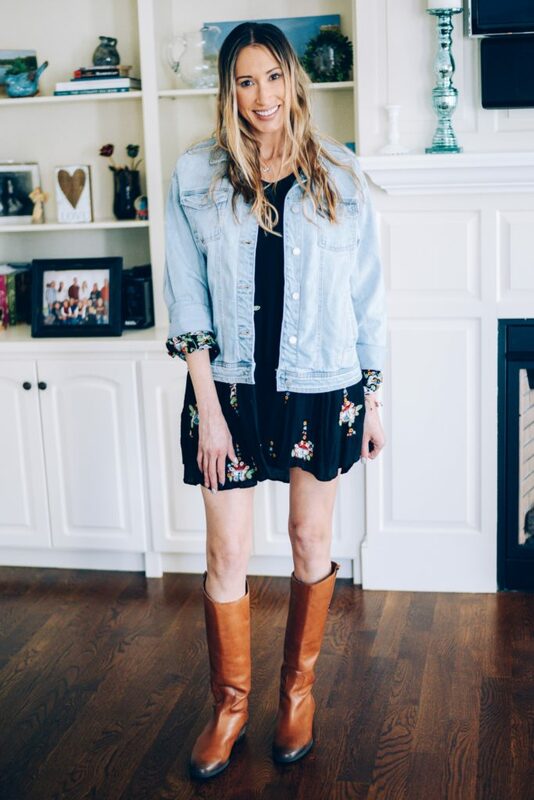 This tiered maxi dress has spaghetti straps, so I definitely needed to layer a denim jacket over it. Because the maxi is so long, I rolled the sleeves of the denim jacket so that I didn’t look too covered up. I bottomed off the look with boots, but you could certainly substitute espadrilles or wedge booties! 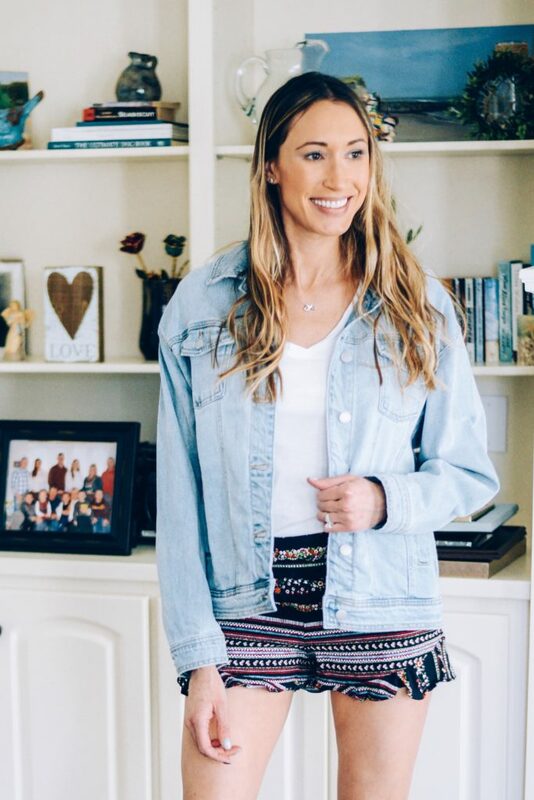 I got these patterned shorts at LOFT last year, and I love their versatility! See how I wore them way differently here! The rest of my outfit is pretty basic, so wearing patterned shorts is an extremely easy way for you to make a fashion statement! 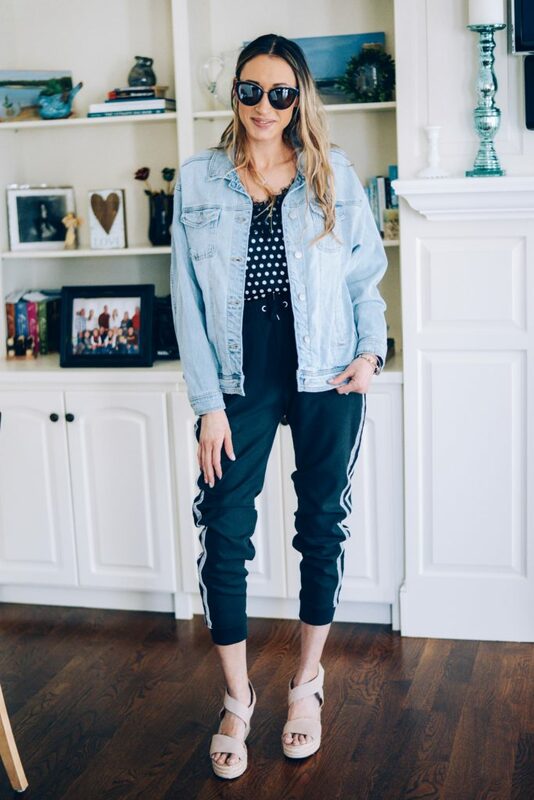 This look is a little more casual than the rest, and it totally gives me 90s vibes! I flipped the collar of the denim jacket to edge up the look a bit and keep it fun! What’s your wardrobe staple in the spring? Leave me your thoughts below! Have a great weekend! So beautiful. You have great ideas. Look 2 is my favorite! Sporty but still chic! Thank you! I wasn’t sure about that one. But it definitely grew on me. I love that you like it! Thanks so much! Yes, everyone needs one! 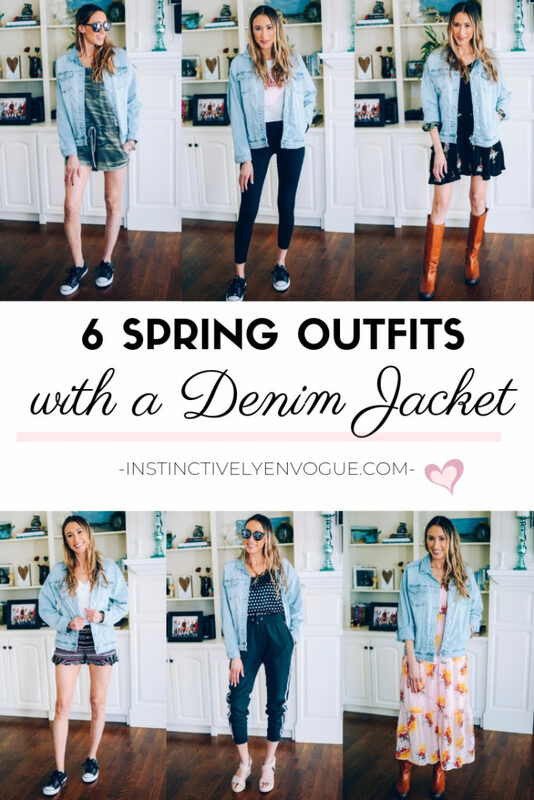 I SO need an overside denim jacket now— all these outfits are SO cute! This one is great! I may even go for a really really oversized one also. Finding the PERFECT denim jacket was such a chore, and now that I have, I’m never getting rid of it. Thanks for the outfit inspos! Right?! It’s SO hard to find a good one! Thank you! A denim jacket sure can transform an outfit. I looooooove denim jackets and all of these are so cute! love the short dress one! Thank you! That one is my favorite! Denim never gets old! It’s definitely a great spring/summer staple! It really is! 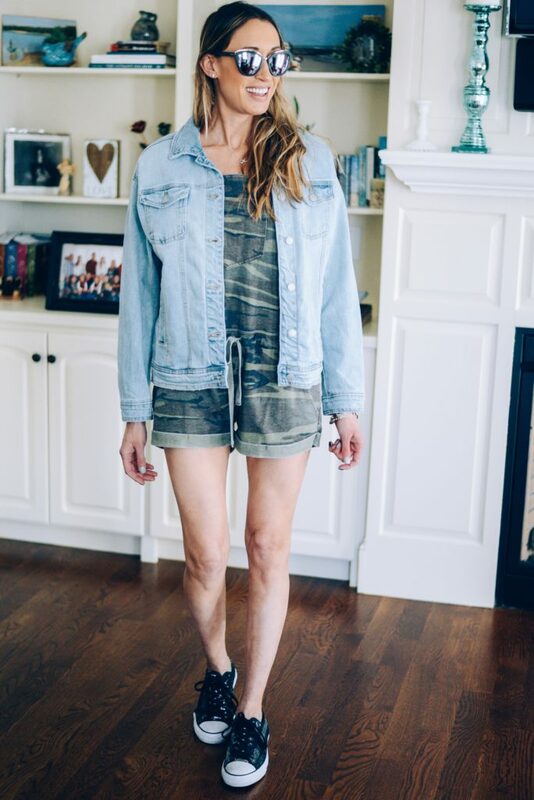 I have had many denim jackets in my day, and this one is the most comfortable! These are some great looks! 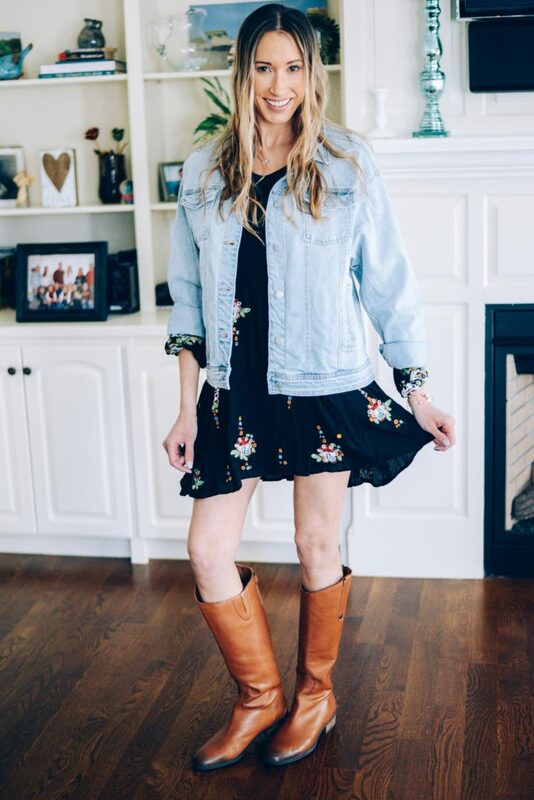 I especially love the first look with the brown boots, so cute! Thanks for sharing! Denims always looks so amazing and Smart whether in lower or in upper.But I must say your one piece is gorgeous.Infact boots also Looks Good.